This 1-Day Master Injector Series I Practicum℠ offers physicians and healthcare practitioners advanced hands-on instruction from exceptional physician educators, board certified plastic surgeons, or Dermatologists, who provide Aesthetics medicine daily in their own highly successful practices. EXPLORE OUR MEMBERSHIPS AND SAVE ON TUITION! Extensive Hands-on Training for Advanced Specialty Injections. An advanced hands-on program for accelerated neurotoxin and dermal filler mastery from exceptional trusted and expert Empire physician faculty educators. Empire offers the only program to provide direct hand on training using a variety of Dermal Filler products (see list below). A large percentage of the tuition is used to purchase not only the necessary supplies and the Botulinum Toxin, but also on the various dermal filler products which each student will have access to. By learning more than just the typical Botulinum Toxin and Dermal Filler products, Physicians can broaden their scope of practice and offer more to their patients. Practitioners will gain a high level of competence on multiple products that normally require individual training. This 1-Day Master Injector Series I Practicum℠ is designed for the advanced aesthetics medicine physician and healthcare practitioner to accelerate their proficiency, build confidence, and grow their Aesthetics practice. The Master Program offers physicians and healthcare practitioners with more than 6-months experience advanced hands-on instruction for greater clinical advancement. 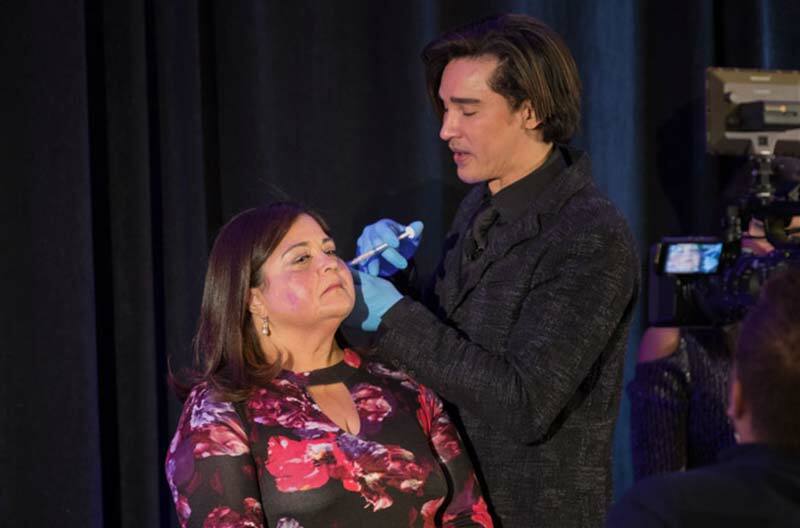 Physician and healthcare practitioners who are dedicated to mastering their craft to become a leading authority on advanced injectable neurotoxins and dermal filler delivery techniques will benefit from the latest medical information, delivery options, and hands on instruction to help them improve injectable skills, gain confidence, develop medical standards of care. Graduates will earn the designation of Certified Master Injector and will be provided with a certificate for display. 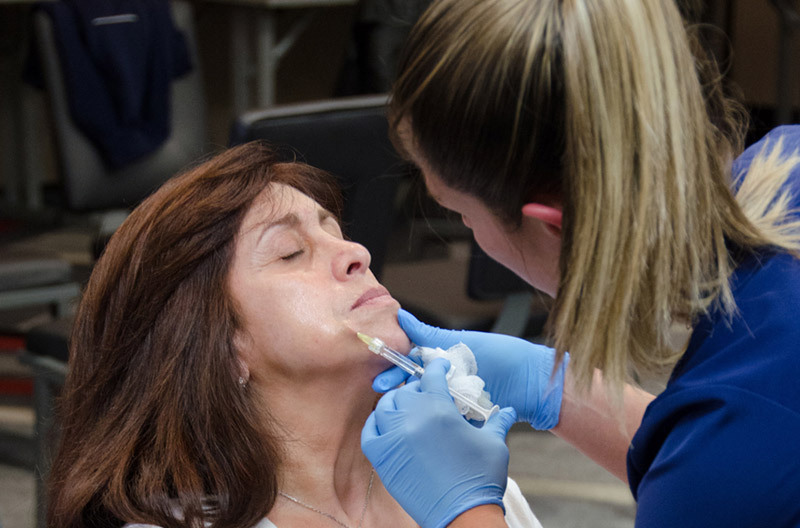 Students will gain an expert level of the latest delivery technique: Advanced Blunt Tip Cannula Training for Dermal Fillers. The Master Injector Series 1 is designed for the more experienced injector or other physician and healthcare professionals who have completed the Empire series of neurotoxin or dermal fillers programs (or other comparable training). Empire Medical Training’s highest-level, quality training Master Injector Series 1 is intended for physicians and healthcare practitioners of all specialties, including dermatology, plastic surgery, Ob/Gyn, and primary care. Student candidates are evaluated for acceptance based on their experience and training. Participants need to bring a volunteer patient to the program who would benefit from any of these products or procedures. Participants who are unable to provide a volunteer for any reason, may contact Empire Medical Training, for assistance. Participants are provided with a history and physical form to be completed and submitted prior to the course. This form will also include the specific treatments you intend to perform on your patients. Practitioners will have access to all the medicines and products to perform any or multiple treatments that are taught in this program. A large part of your tuition is used to supply the necessary Dermal Fillers, Botulinum toxin, and all other necessary supplies. All you need to bring to the course is your volunteer and a working Pen. In addition to advancing and refining current proficiency in dermal filler techniques, this Master Injector Series 1 practicum provides the latest in dermal filler cannula techniques. Practitioners will gain proficiency using blunt tip cannulas, now considered the gold standard for dermal filler delivery. The use cannulas are safe and effective in alleviating the chances of bruising or piercing the vasculature, and helps to create the beauty enhancement results patients want most. Where else can a physician receive hands on training with so many of the common use and newer products? By learning more than just your typical Botox and only 1 or 2 fillers, Physicians can broaden their scope of practice and offer more to their patients. Practitioners will gain a high level of competence on multiple products that normally require individual training. During the hands on course, attendees will inject their volunteers in facial areas generally not performed in the entry-level programs. Students will gain proficiency using blunt tip cannulas for the administration of dermal fillers during the physician supervised hands-on training. Blunt tip cannulas allow for safe injections into highly vascularized areas, helping to avoid piercing veins or arteries, which in turn can cause the more serious complication of infarction or occlusion of vessels. Empire is proud of our highly distinguished expert physician faculty who are highly sought after speakers and nationally renowned physician specialists. Our independent physician instructors are Dermatologists, Plastic Surgeons and top physician specialists, highly credentialed, and experienced in training other physicians. All Empire Master Injector Series programs are structured in the same format with lecture topics during the first 2 hours of the program, and the remainder of the workshop is dedicated to hands on training. Morning Session:The program begins with a 2-hour overview of the most important protocols associated with each of the aesthetic techniques being performed. We have created limited didactic in the morning to cover the different advanced injection protocols, complications, and how to use Blunt Tip cannulas for injecting dermal fillers. A “How to Avoid Complications” lecture covers techniques to help student learn how to avoid possible complications from injection procedures. Morning and Afternoon Session: The main focus of this practicum is to provide practitioners with sufficient hands on training in the various injection techniques for neurotoxins and dermal filler injections. Quality and safety is paramount when performing neurotoxin and derma filler injections. Empire includes all protocols for patient selection, injection protocols, and additional “pearls” to ensure that students feel confident performing these procedures. Students receive instruction on how to avoid adverse events and complications using various techniques and how to create diffusion of the neurotoxin products. Students learn how to develop techniques and gain the confidence to reproduce these techniques in their office. All injections are be supervised by our trusted and expert physician faculty. Our faculty members have high-volume, successful practices, advanced training, and solid reputations for excellence. Improve your technique, gain confidence, develop your standard of care, and become a Certified Master Injector through our advanced aesthetic program and hands on training. Gain an expert level of training using Cannula injections for your patients. Physician Introduction, Review in detail the various FDA Approved commercial products available including product characteristics; G Prime, G Double Prime, Swelling Factor, and Cohesion and its potential uses for facial rejuvenation. Overview of micro cannula benefits and uses. Review the various sizes, lengths, and other considerations in choosing micro cannulas for injection, review protocols for administration including port entries, fanning techniques, area of preference including protocols for various facial areas including advanced injection techniques for lips and cheeks. Review indications for Sculptra™ Aesthetic, indications for treatments, areas of adherence, constitution, dosing, after-care, and protocols for hypodermic needle or micro cannula injection. In depth review of possible and correctable complications associated with Botulinum Toxin-A injections by area and Dermal Filler injections and injection pearls to ensure proper placement and needle guidance. Instructor demonstration of various micro cannula techniques and administration using either HA or Non-HA dermal fillers for the various facial areas prior to hands-on portion of the program. Demonstration is at the discretion of the Instructor and based upon patient presentation and areas for correction.